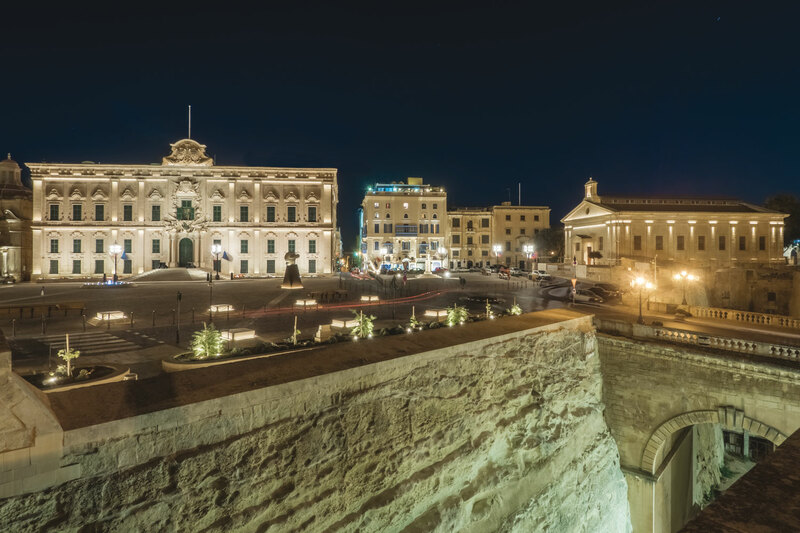 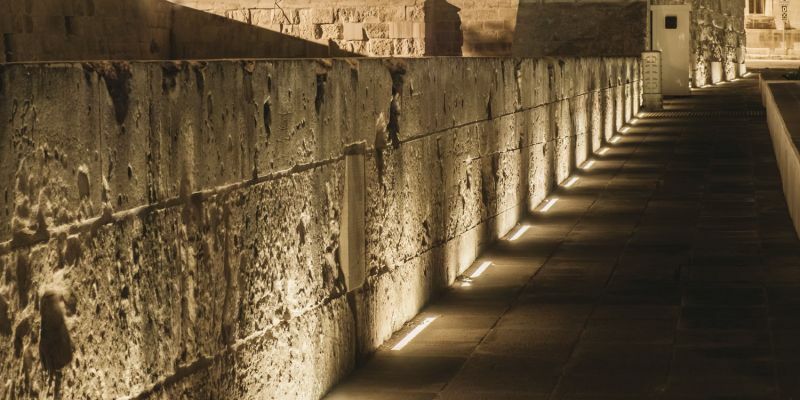 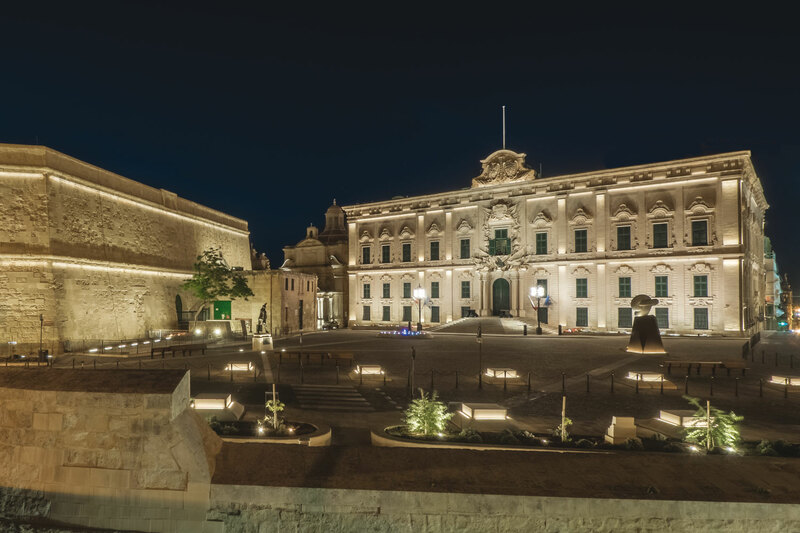 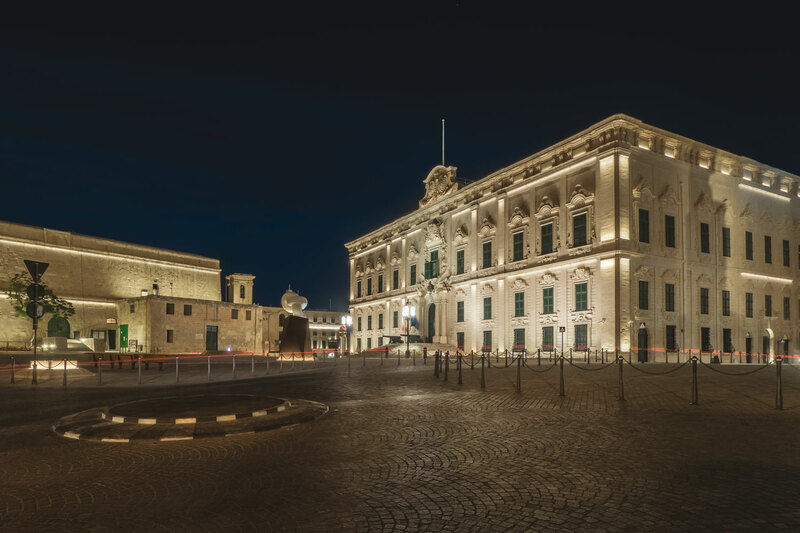 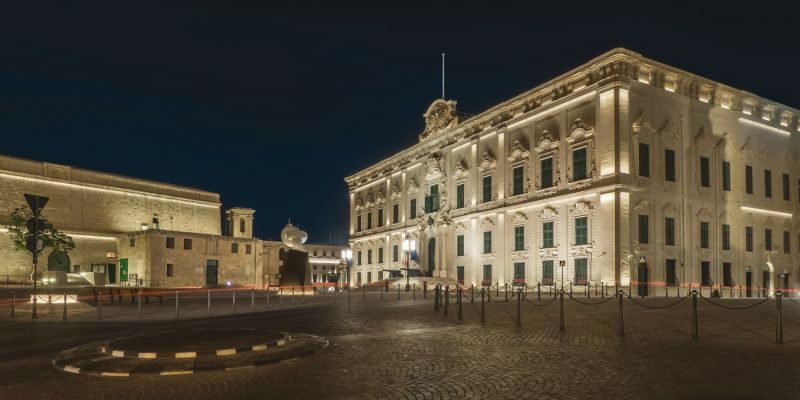 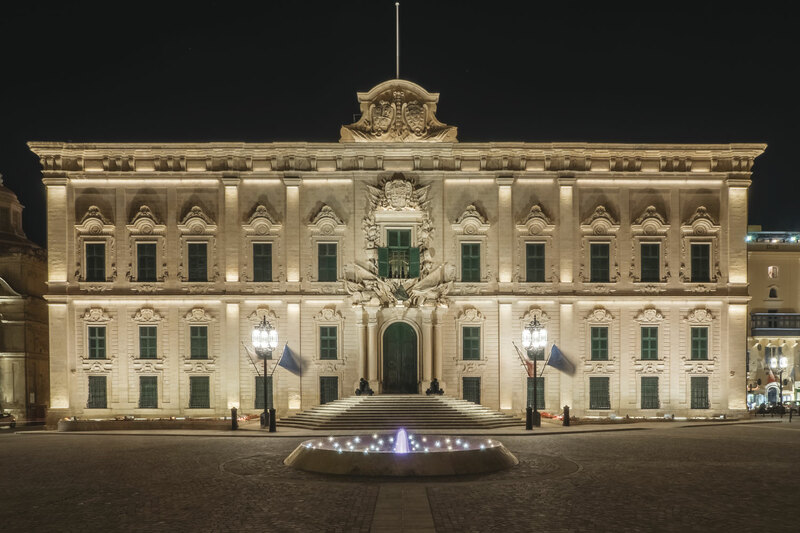 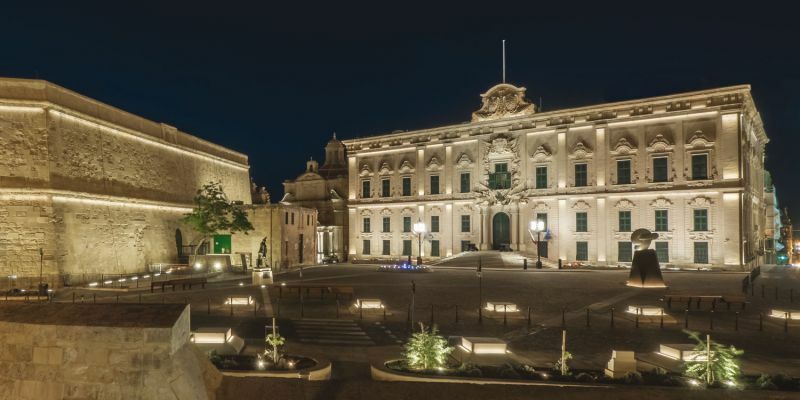 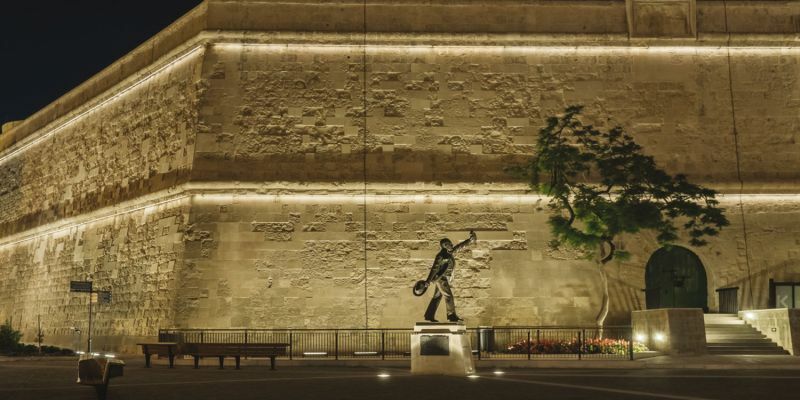 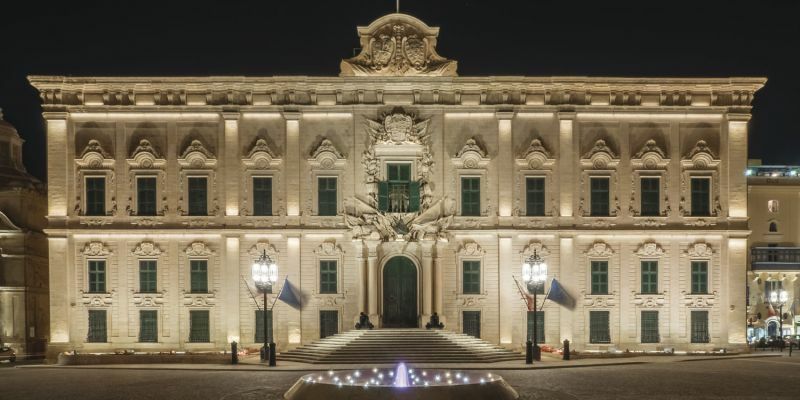 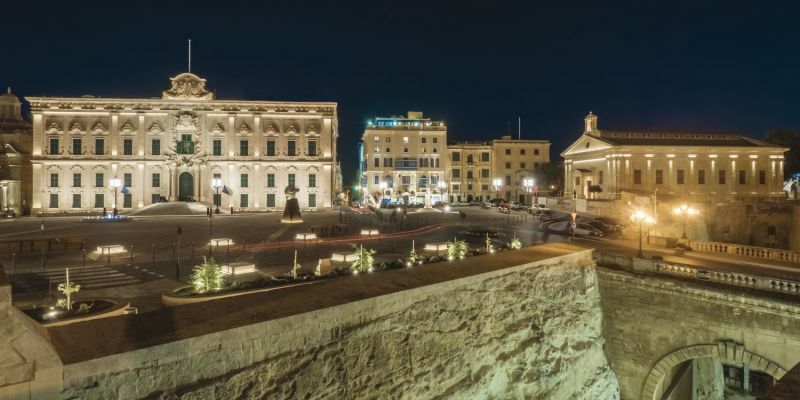 The lighting project of Castille Square, in Valletta, has kept into consideration the composition of the square and the surrounding buildings. 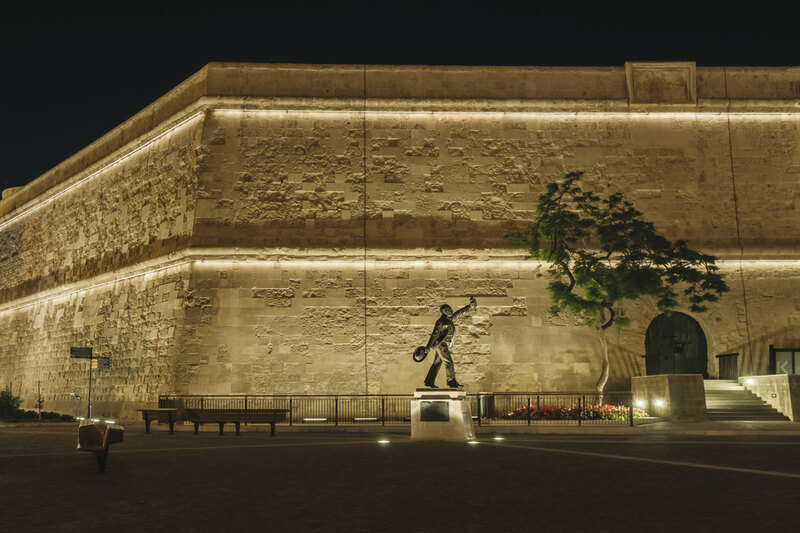 Besides exalting the beauty and traditional style of the existing buildings, the main aim was that of giving the place the appearance of a real and proper theatre, where the square is the stage and the historical buildings become the true protagonists of the scene. 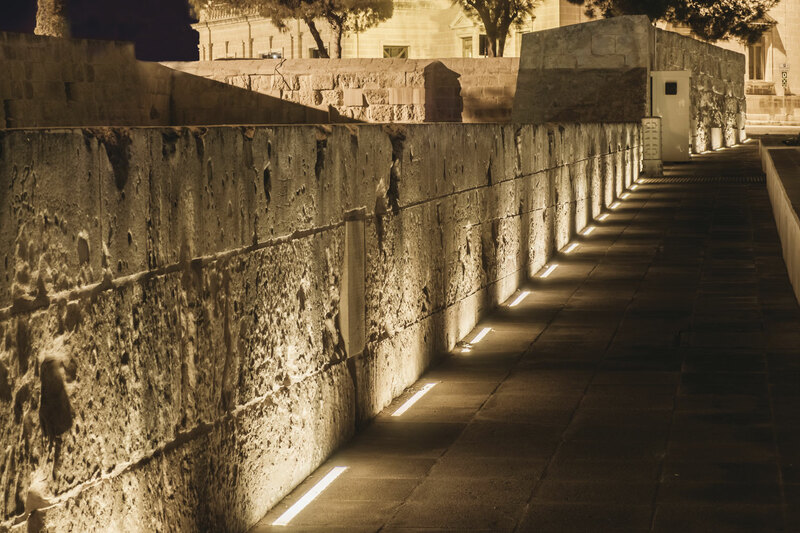 Thanks to the use of cutting-edge light fittings, Stefano Dall’Osso could ideate a lighting design project that doesn’t interfere with the perception of the buildings’ colours, preserving, even at dusk and during the night hours, the same tones that can be seen under the sunlight. 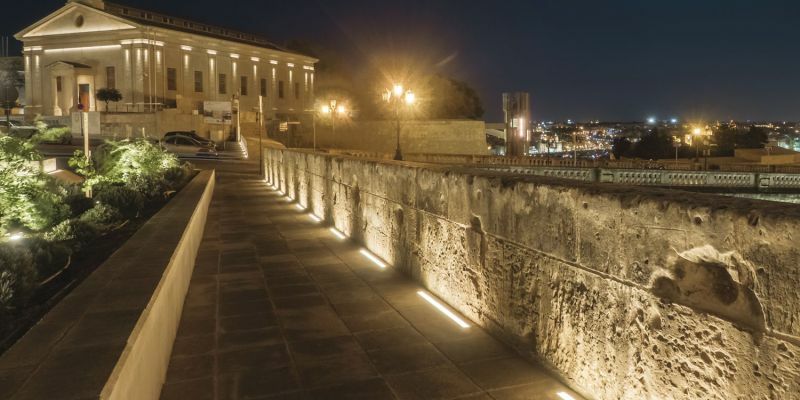 The state-of-the-art characteristics of these light fittings guarantee excellent performances over time and the stainless steel they are made of make them resistant to the salty air and to the island’s typical atmospheric conditions. 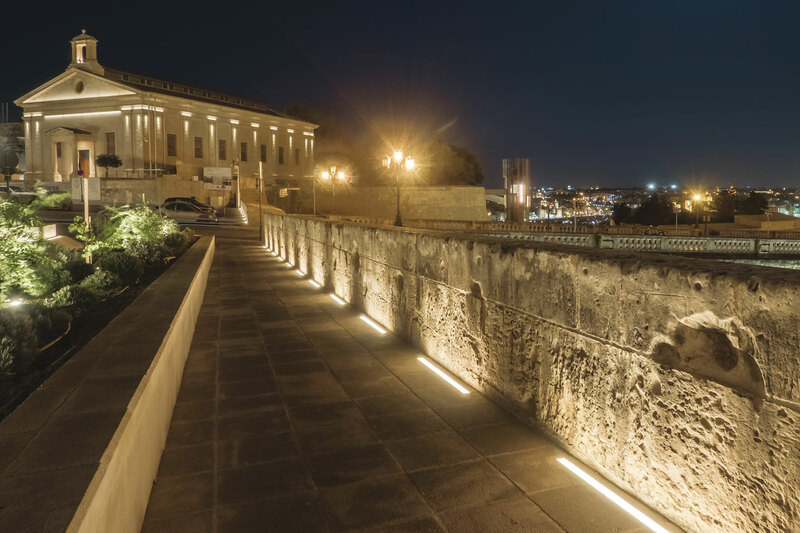 A light that aims not only at increasing the number of visitors, even at night, but also guarantees safety and respect for the environment through energy-saving light sources and a lighting management system that controls light in a smart way.